Utahredrock: Patagonia, one of the last great frontiers. 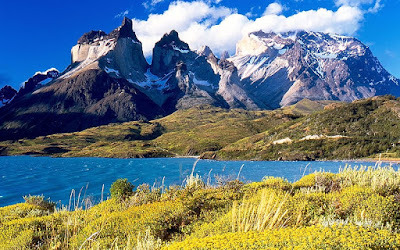 With geographic features including remote and stunning rivers, lakes, glaciers, mountains, bays, inlets and two oceans, Patagonia is a magnet for ecotourists hoping to see a part of the planet with a low population density and breathtaking beauty. But Patagonia is threatened by humans and our need for more and more and more. Non-native beavers and minks are wreaking havoc to native flora and fauna. Large Chilean salmon farms are being devastated by disease due to unsanitary and overcrowded conditions (at the same time the salmon farms have been overtaking formerly untouched fjords). Proposed new dams, with associated hydro-electricity projects, threaten to flood vast areas of streams and lakes that are among the most pristine in the world. The Patagonia Times is an English-language online publication covering issues affecting one of the final frontiers of the Americas. We recommend that you add this excellent online resource to your reading list. It’s important to be well-versed in issues affecting our planet beyond our own backyards. I wrote this post for STAND FOR LESS where it originally appeared on November 24, 2009.